Today, no one can deny that the digital marketing realm has been radically transformed over the last years due to the major impact of social media. In an influencers era, when it comes to choosing a product or service—in fact, connecting with a brand message and values—the protagonist is definitely the customer. Period. Any business owner that still chooses to overlook this fact (and thus, inbound marketing altogether) is going to miss a great potential for company growth. This particular marketing style places all the focus and efforts in advertising a product/service directly to everyone and anyone without much personalization. Outbound marketing is extremely product or service centered and not customer oriented like you suppose (and is!) inbound marketing. And that’s exactly the main reason why inbound marketing is gaining so much power over the intrusive marketing techniques of its counterpart which overlook whether the potential buyer will be interested or not in the product. Anyway, the objective of this article is not to disregard outbound marketing strategies but, on the contrary, to highlight the multiple benefits and the positive impact that inbound marketing can have on your sales. In an ideal scenario, you will want to combine some techniques of both outbound and inbound marketing fields to suit your needs better. I’m going to give you today some specifics about inbound marketing that you can start incorporating to your strategy, whatever it is you’re trying to sell. Remember that, as I always say, you should first have your target audience clearly defined. I´m talking about the whole anatomy of your ideal buyer here: Age, income, hobbies, likes and dislikes, location, level of studies, etc. The more details you can identify and gather about your ideal client, the easier this inbound journey will be to attract them on social media through sensational tools like these. 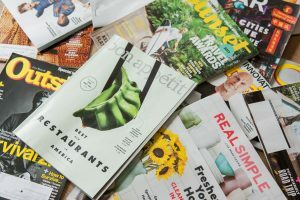 You’ll have to think about these five points as digital magnets that will naturally captivate your ideal persona to make them connect first at an emotional level with your brand and then—and only then—buy. Why? You mustn’t forget that users are more in control of information now and there’s an important research factor before buying a product or service that can take some time. Users are not always ready to buy your product and that´s ok. However, inbound marketing can accelerate that process when used effectively. Anyway, this whole process is way more complex than just placing a cold banner on the internet, paying, and sitting waiting for clients to magically reach you. Inbound marketing won’t work that way simply because it’s subtle and emotional. But it’s not a less effective method because of that. To be completely honest, it may take you most of the times more energy than outbound marketing, but it’ll definitely bring you more results as long as you target well form the start. There’s a post exclusively devoted to this topic that you can check out on the blog. However, influencer marketing is about paying highly influential people (celebrities, ordinary people that know a lot about a niche or organize tribes and communities around a topic) to talk positively about your product, tag your brand on their posts and other techniques of the sort. This tool is one of the newest in the world of inbound marketing and it’s a highly promising one! If you want to know more, go here! Whitepapers are documents full of data that one company writes to another in order to help them make decisions about very specific aspects of an industry. 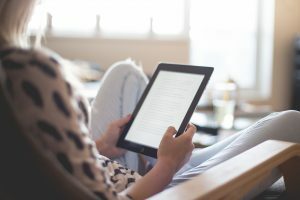 A whitepaper is a kind of persuasive essay in which a new feature of a product or a new technology is explored in detail but at the same time summarised for people who are really busy and have to read a lot on a regular basis. Sometimes writers do them and other times, professionals are in charge of writing them. The objective is not strictly to convince you to buy anything. In fact, most white papers are written to keep professionals updated about a niche. To find out more about whitepapers, visit this site. To learn how to use an e-book for a content marketing strategy, follow this link. A podcast is like a radio programme recorded in advance that has different episodes and revolves around a specific topic, like cooking, finances or parenting. Anyway, not all podcasts are recorded previously; there are some aired live. 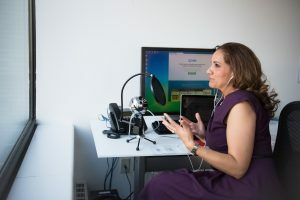 A podcast can help you stand out from the crowd in the blogging world for example, as it lets users see a different side: your voice and your personality. It gives your strategy a different touch because your personality is going to emerge from the internet surface and you’ll be using a different media than the visual and written usual channels. 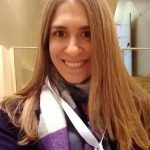 More about on how to start a podcast here! Why don’t you tell us about your experience with marketing techniques in the comments below? Have you ever used any of these? What results did you get? Whether traditional or more modern, we want to hear real stories from you! I hope you can leave your comfort zone and revamp your whole digital marketing strategy! If you need any help with social media, 50 Pound Social can take care of it. Forget about social media headaches and dedicate your time to what matters the most to you—growing your business, of course!